Hand Stamped By Heather Wright-Porto: Happy Valentine's Day! This card is CASED from fellow Demonstrator Alicia Ryckman. She used Red and Brown where I am using Pink and Brown - paper from the Love Specialty Paper from the Occasions Mini Catalog. I LOVE this card and it's so easy to make!!! 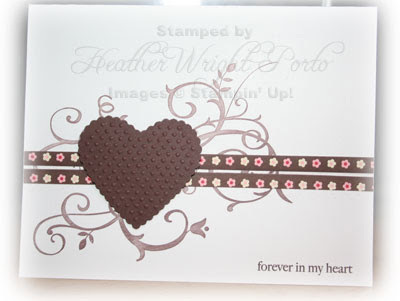 Cut two squares 2-1/2 x 2-1/2 and run through the Big Shot with the Hearts Embosslits (from the Occasions Mini). Adhere the punched hearts on top of the embossed, scalloped hearts. 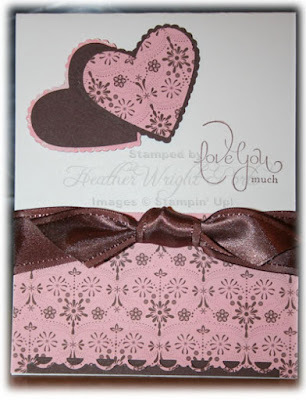 Adhere to card front using SNAIL Adhesive and Stampin' Dimensionals. Towards the middle of the card, on the right, stamp a greeting. I used the Well Scripted Stampset, from the Occasions Mini. Lastly cut a thin strip of Chocolate Chip paper and adhere to bottom, front. Then cut a 2-1/2 x 4-1/4 piece of designer series paper and use the Scallop Trim Border Punch on the bottom (again from the Occasions Mini). Adhere to card front using SNAIL Adhesive. 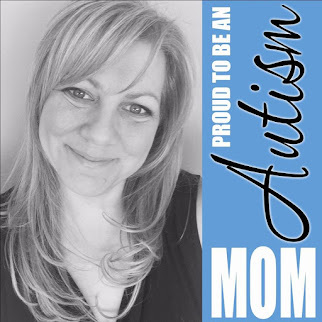 Wrap ribbon around and tie in front (Chocolate Chip Wide Satin Ribbon is available in the Clearance Rack)! Many of you know that Baroque Motifs and this swirl is my Favorite!!!! So I used it here on Whisper White cardstock. Added a rub-on greeting in the bottom right. Then simply added two strips of Love Specialty Paper (but use any you'd like) and then one Chocolate Chip heart using the Hearts Embosslits (adhere with Stampin' Dimensionals). That's it! Easy as 1-2-3!